An important focus of 2015 is on the major trade shows serving the textiles industry. 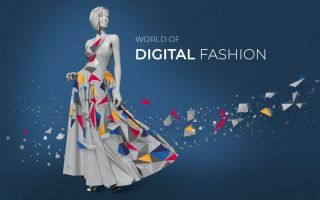 In addition to the in-house and clothing shows that take place on an annual basis, the twin fairs Techtextil and Texprocess are poised to open their doors in Frankfurt am Main in May, whilst ITMA is being staged in Milan in November. 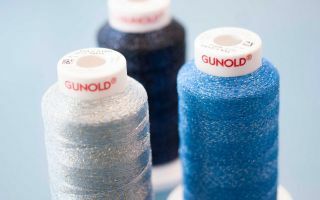 These events are all extremely important for the members of the IVGT – the industry association for finishing, yarns, fabrics and technical textiles - as the industry in Germany continues to undergo fundamental change. In the course of the past 20 years, Germanys textiles companies suffered a painful decline, only to rise again from the ashes, having evolved from traditional companies into internationally recognised manufacturers of technical textiles. Today, the IVGT ranks among the most important textile associations in the German-speaking world, covering almost the entire spectrum of the textile supply chain from fibre production and trade with natural fibres, through the processing stages of yarn production, weaving, warp and weft knitting and the manufacture of non-wovens to almost all finishing processes. Accounting for a more than 60 percent share, the technical textiles field and the mostly vertically integrated producers assume a special position in the textiles industry. Over time, leading mechanical engineering firms and manufacturers of textile auxiliaries have joined the network in a move not only to develop new innovative products together with their customers, but also to secure Germanys place in the world as an important location for textiles. This is why the association supports its members on all levels of technical, commercial and environmental relevance. It does so in all market segments both at home and abroad. In several respects, technical textiles are “hidden champions”. Given that their function determines where they are used, they are in many cases invisible to the eye. A diversity of product improvements and innovations will be presented at the forthcoming Techtextil. 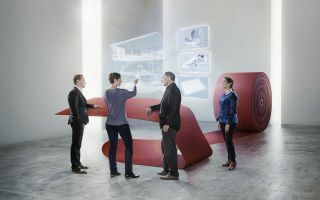 As if to spite the sceptics, German companies have evolved into market leaders in the 12 segments represented at Techtextil, whilst the stringent European standards inevitably lead to sustainable products that rise above the competition. In preparation for the trade fair, the IVGT has compiled a list of the product highlights on show. This list includes micro-filament non-wovens, multi-material and hybrid yarns, highly conductive polymers for architectural membranes, environmentally friendly flame-retardant yarns, fabrics with 300 per cent stretch, high-temperature ceramic non-wovens, micro-netting for clean-room applications, climate-regulating knitted fabrics for shading, special tapes for extreme loads, weather-resistant digital print coatings, cellulose-based phase-change materials, thermo-plastic and duro-plastic composite prepregs and special adhesives, formaldehyde-free coated textiles, textile Bragg-grating sensors, smart textiles and bionically inspired industrial textiles. With more than 450 German exhibitors at Techtextil and a further 100 German firms showing at Texprocess, the above list is by no means exhaustive. This illustrates how important it is that visitors prepare their stay well and coordinate their appointments. The expertise and uniqueness of the textile solutions on show are not always obvious at first glance. This is why visitors should ask exhibitors for a greater insight into their product spectrum. During the fairs, the IVGT is organising guided tours to exhibitors offering the abovementioned product solutions, as well as networking events such as the ETT Club Dinner, and one-hour information meetings for students. Moreover, a series of sector reports and the latest edition of the Suppliers Guide Technical Textiles Germany are available from the IVGTs exhibition stand.